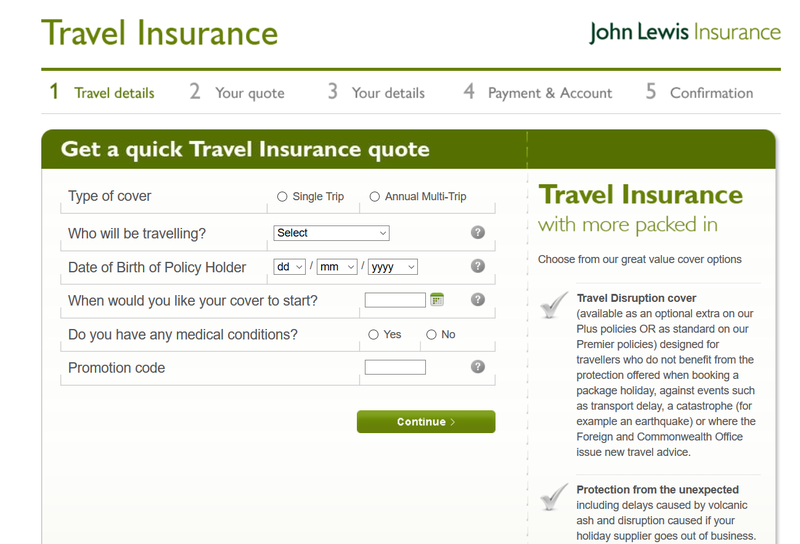 Today we will be reviewing and comparing John Lewis Travel Insurance. Our aim is to help our readers determine whether John Lewis Partnership’s Travel Insurance gives them good value for money and a strong travel insurance plan, or whether they would get a better price and insurance product by shopping around. John Lewis is a highly regarded chain of high-street stores in the United Kingdom. The first John Lewis store opened in London’s Oxford Street in 1864 by the founder, John Lewis. His son, Spedan Lewis, created the John Lewis Partnership in 1929, and the slogan ‘Never Knowingly Undersold’ has been in existence since 1925. In terms of actual size, the John Lewis Partnership is small. It has just 50 stores across the UK including 12 which are ‘At Home’ stores. When compared to other household-name stores such as Marks & Spencer, who have 979 stores, the John Lewis Partnership certainly punches above its weight in terms of brand perception, customer loyalty and operating income. 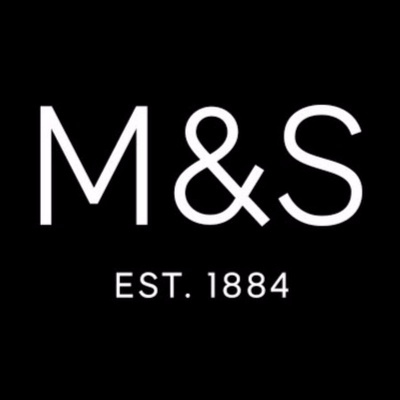 Whereas M&S has nearly 1,000 stores and generates £690 million of operating income, the John Lewis Partnership with its 50 stores produced £243 million of operating income for the same period. One of the strengths of the John Lewis Partnership is its loyal customer base, who return to John Lewis for purchases from mobile phones and televisions, to kitchen appliances and clothes. The John Lewis staff are all ‘partners’ within the Partnership giving them a financial interest in the success of the John Lewis Partnership over and above wages. Furthermore, from a technical standpoint the John Lewis staff are regarded as possessing a much wider knowledge about the goods and services they are selling than other high street stores one could mention. If one is looking to spend £1,000 plus on a new television, not only are you likely to get a staff member who has a near encyclopaedic knowledge of the product line available and can answer any of your questions, but also, the John Lewis product guarantee is exceptional. Whereas most tech products normally offer a manufacturer’s two-year guarantee, John Lewis frequently offers a three-year John Lewis guarantee. What’s more, if you genuinely have an issue with an item bought from John Lewis, the customer service is superb. A significant step above and beyond what their competitors offer. A happy customer is a repeat customer. As we have seen with other brands across the UK, where a store has a loyal customer base there is an opportunity to sell that customer other products and services, including financial services. Of the financial products available, John Lewis offers its customers currency, money transfers, personal loans and store cards, and insurance. The insurance offering is vast and includes Home Insurance, Car Insurance, Pet Insurance, Travel Insurance, Wedding Insurance and Event Insurance. 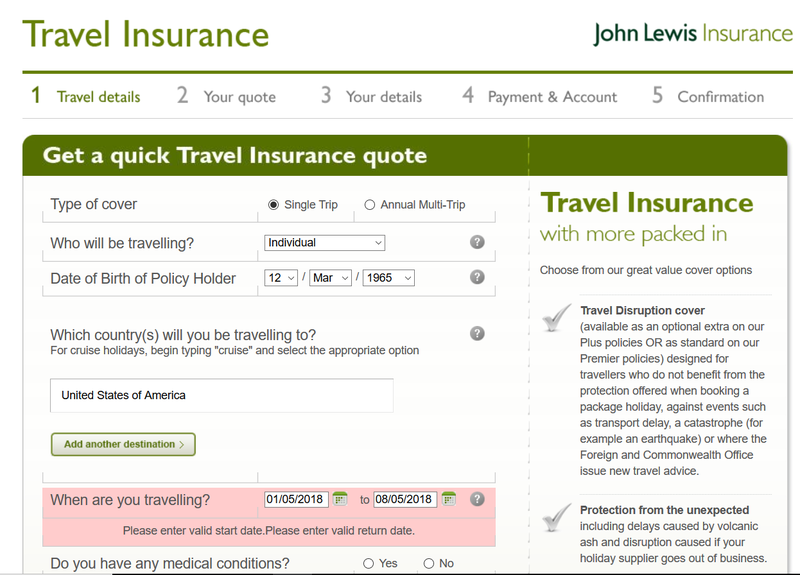 The product we are interested in for today’s review is the John Lewis Travel Insurance offering. Does this give the customer a good solid travel insurance plan for a fair price, or would a John Lewis customer be better off shopping around? The John Lewis website is set out in a simple and user-friendly layout. The font size and style are clear and concise and let the customer navigate around the site to find what they are looking for. The John Lewis website also offers an excellent search function. 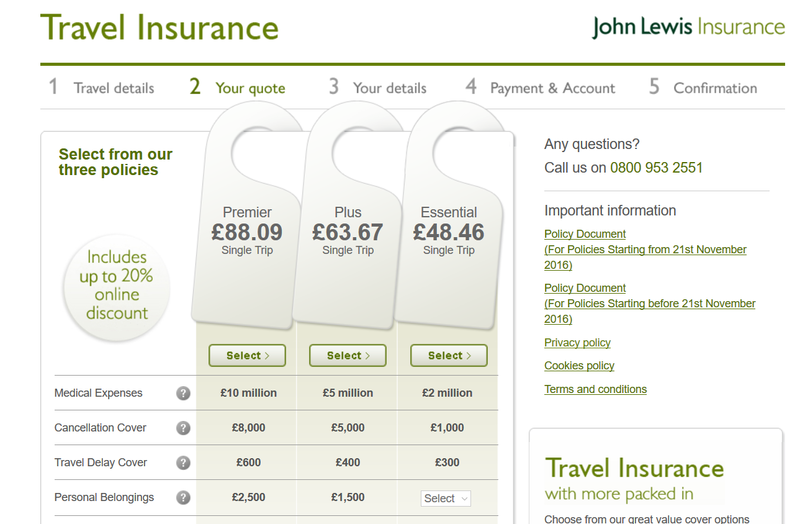 To get to the John Lewis insurance offering our customer can either double click on the top tab entitled ‘Insurance’ to move to the John Lewis Insurance page, where travel insurance can then be selected, or if our customer single clicks on the ‘Insurance’ tab, the different types of insurance available appear as a drop down for simple selection. We navigated to the Travel Insurance page and selected ‘Get a Quote’. 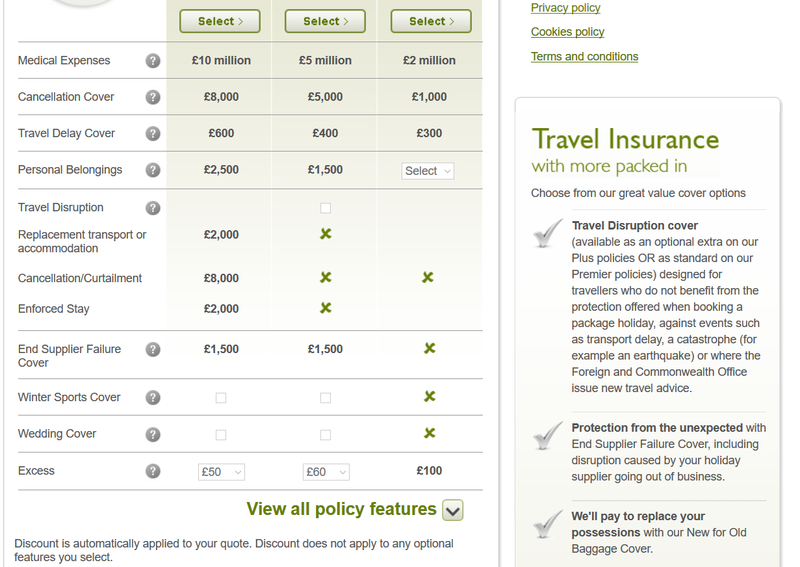 At this stage we are moved into a well-presented quote tool to ‘Get A Quick Travel Insurance Quote’. The customer is offered the option of annual trip or single trip. We are able to see the number of steps required to buy insurance – in this case five of them – and our progression through those steps. 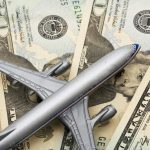 For this review we selected a single-trip travel insurance quote. The information required to start a quote is simple. We need to state who is travelling, whether it is an individual, a couple or a family, and the dates of birth of the policy holder. Finally, we are asked where we will be travelling. 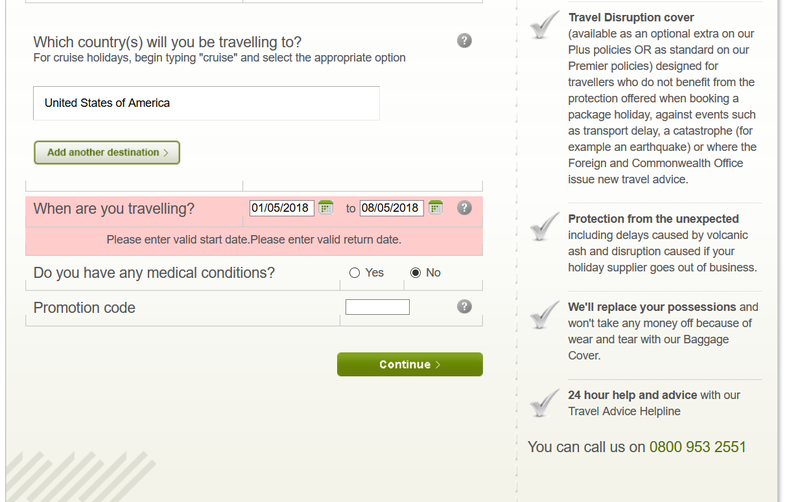 One of the things we really liked about the John Lewis Travel Insurance quote page was the information down the right-hand side of the screen. This offered the customer immediately available insight into the product cover, including a short description about the ‘Travel Disruption Cover’, ‘Protection from the unexpected’ and ‘We’ll replace your possessions’. This all seeks to further reinforce the comfort that a John Lewis customer is buying into a policy that protects their travel investment and personal property. Further down the quote page we are asked for our dates of travel which can either be inserted directly, or via a simple calendar pop-up. We are also asked if our traveller has any pre-existing medical conditions. For this comparison our traveller is travelling on his own to the United States and is 53 years of age. He has no pre-existing medical conditions. We are travelling out on 1 May 2018 and returning one week later on 8 May 2018. When we then select the Continue button we are moved to the Your Quote part of the site and get our first sight of the travel insurance plans available. The quotes are presented in a very user-friendly manner. John Lewis offers our traveller a typical ‘good, better, best’ three-quote option with prices for its ‘Essential’, ‘Plus’ and ‘Premier’ travel insurance plans. For our traveller these are priced at £48.46 for the Essential; £63.67 for the Plus and £88.09 for the Premier. 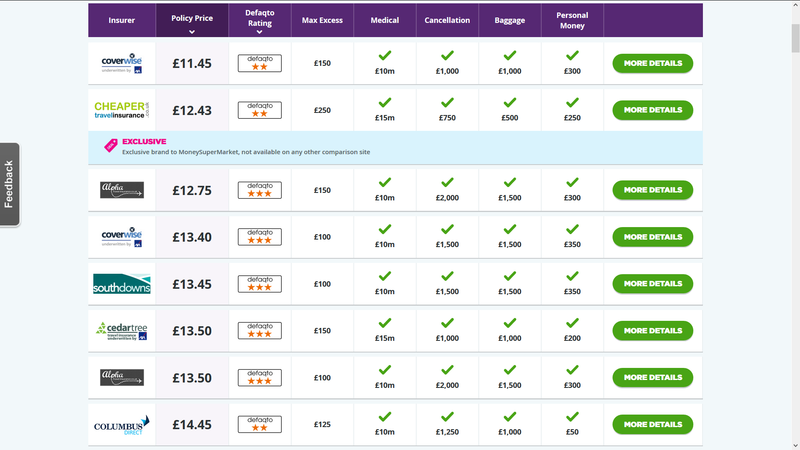 The site gives our traveller a simple comparison of the cover limits available across the three plans on offer. Our traveller is also able to clearly navigate to the full policy documentation on the right of the screen if they wish. We can instantly see that Medical cover increases from £2 million for the Essential and Plus plans to £10 million for the Premier. Likewise, the cancellation cover increases from £1,000 to £8,000 across the three plans. We really like this approach of displaying plans for easy comparison, however the customer is only comparing three John Lewis plans. As we scroll down the comparison we can see that John Lewis is gently but firmly pushing its customers towards the Premier plan, with certain cover items such as Travel Disruption and Replacement Transport or Accommodation only appearing in the most expensive Premier policy. When we select the drop-down for ‘all policy features’ we are presented with a further list of cover items such as missed departure and delayed baggage. 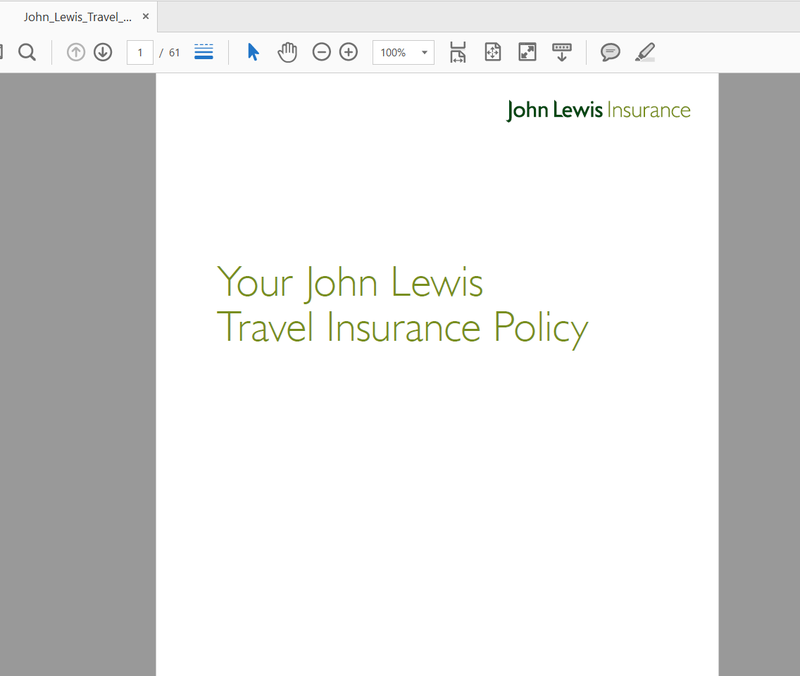 When we select the Policy Document link we are presented with a PDF document entitled ‘Your John Lewis Travel Insurance Policy’. The travel insurance policy document runs to a staggering 61 pages. As we dive into the policy document we can see that the travel insurance offered by John Lewis is actually backed into Ageas Insurance Limited. 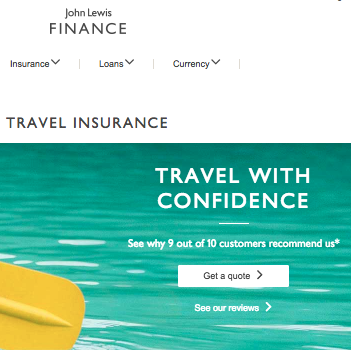 John Lewis have either taken a typical Ageas travel insurance plan and re-branded it or Ageas has created three travel plans exclusively for John Lewis. If at the time of purchasing this policy, and when booking a trip under an annual multi-trip policy, anyone insured under this policy answers ‘Yes’ to any of the following questions, this policy will not provide cover for any claim arising directly or indirectly from that condition. Has anyone been referred to and is still waiting to be seen by a hospital doctor? Is anyone waiting for an operation, post operative check up, any other hospital treatment or any medical investigations, tests or test results (for anything other than a) pregnancy or b) the following routinely offered NHS screening tests: Cervical screening, Breast screening, Bowel cancer screening and Abdominal aortic aneurysm screening)? Does anyone have a condition for which a terminal prognosis has been given? Is anyone travelling against the advice of a doctor, or in order to obtain medical advice or treatment abroad? The medical exclusions are designed to protect the insurer against known perils. Where a traveller has a condition that has been diagnosed, or is currently being treated, it is important to clearly and honestly state whether you have any pre-existing medical conditions when requesting a travel insurance quote, or you may find you have no cover if the worst happens. The John Lewis policy document continues with a list of nine health questions that a traveller must be able to answer ‘No’ to. The document states that if a traveller needs to answer ‘Yes’ to any of the questions, they should contact the insurer, who will determine whether the condition or health issue can be covered. This may result in an increased insurance premium. 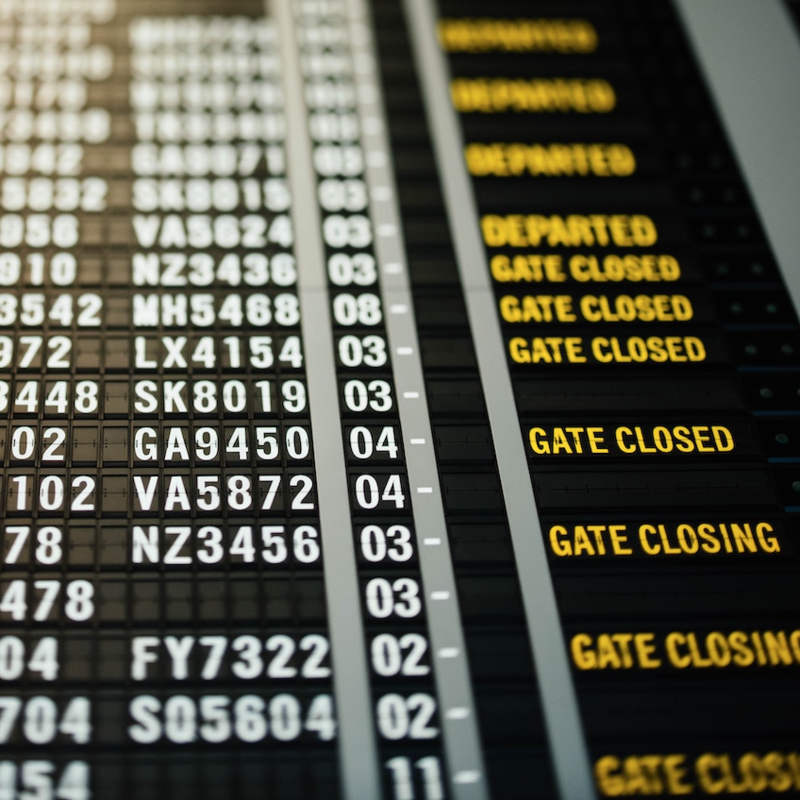 A feature we like to see within Travel Insurance plans is a cover for redundancy and job loss. Typically, we like to see redundancy cover where the traveller has cover so long as they have been with the same employer for no more than one year. The John Lewis policy does provide for cover if the traveller is made redundant, but the exclusion is that the traveller must have been with the same employer for a continuous two-year period. This is not the most restrictive term we have seen, but more restrictive than we would like to see. 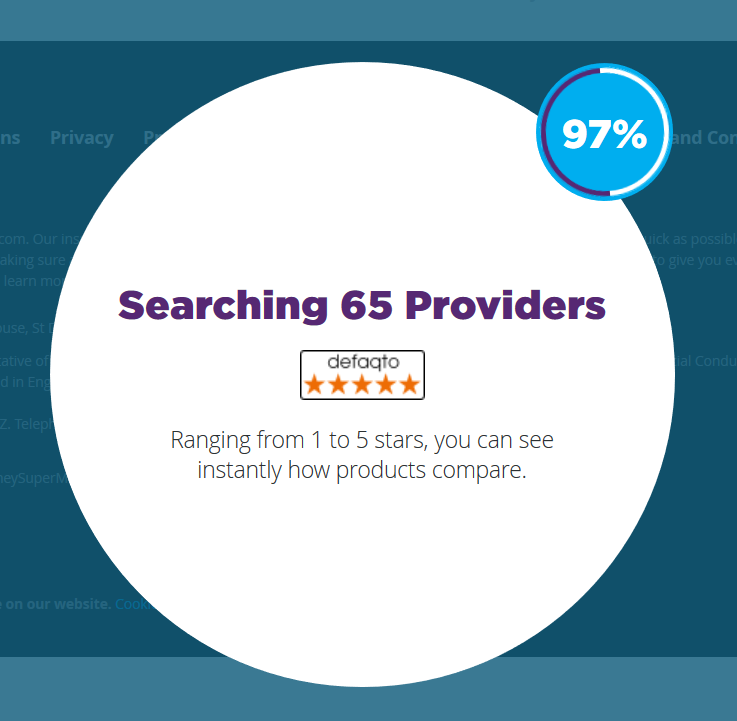 We are all familiar with comparison sites. In this day and age we are able to compare and contrast nearly any product or service at a click of a mouse. Travel insurance is no exception. To compare travel insurance plans we went on to one the UK’s travel insurance comparison sites and added in the exact same trip and traveller details for our traveller. By using the exact same search criteria we are able to compare and contrast the cover being offered by the John Lewis Partnership and Ageas, so that our traveller can make an informed buying decision. The comparison site offered us a large selection of travel insurance plan to compare against. The travel insurance comparison site presented the plans in the order of best price first. However, the traveller is able to filter by excess level, cover levels, or by defaqto rating. All the plans offered on the travel insurance comparison site offer medical cover of £10 million, which is equivalent to the John Lewis Premier plan, their most expensive product. The cheapest plan at this £10 million of medical cover is priced at just £11.45. This is considerably cheaper than the £88.09 offered by John Lewis for the Premier plan, and still a quarter of the price of the John Lewis Essential plan at £48.46 which only offers £2 million of medical cover. When we remind ourselves that the top John Lewis plan has £10 million of medical cover, the best comparable alternative has 50% more cover – a staggering £15 million and £7,500 of cancellation cover. Virtually the same as the John Lewis Premier plan. This alternative product has a 5 star defaqto rating and is priced at just £36.87. This is over £50 cheaper than the top John Lewis plan. 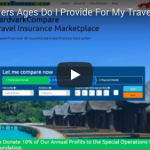 At AardvarkCompare we have reviewed dozens of UK travel insurance plans which are offered to their loyal customers by high street chains, cruise companies and airlines. The customer is probably expecting a good product at a good price. However, what we see time and time again is a customer being offered less cover at a much higher price than if they had shopped around. Our advice, as always, is to shop around. If you are offered just one travel insurance plan, or even a choice of three plans but all from the same provider, go and check online to see if you are getting best value and cover for your money.